Once a top secret for a limited few, sedation dentistry has become available to those people looking for no stress, comfort, and pain free dentistry. 1. No more living with painful teeth because of fear. 2. No shots, no needles. 3. 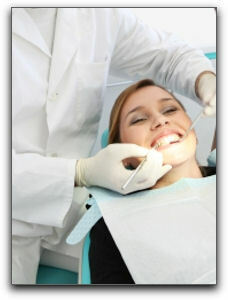 Sedation can last for hours in a controlled setting making it possible to get much more dentistry done in one sitting. 4. Finally, you can have the attractive, healthy smile you deserve. 5. You will not be unconscious but in a state of relaxed sedation. 6. People who normally have trouble getting numb will find that once relaxed they have no problems at all. 7. You will have little or no memory of the treatment (sounds/smells). We have found more and more patients are just fed up with living with missing teeth and they want a permanent solution for their dental problems. I extend an invitation to you to find out what improvements are available not only for your smile, but for your over-all health and life. Please feel free to call us today at 951-925-6596 to schedule a time for us to talk. This is a guilt free zone and we are only here to help. I look forward to talking to you. Larrondo Dentistry committed to transforming lives! Located at: 160 South Santa Fe Street, Hemet, California.